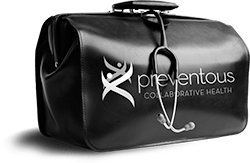 Hi and Welcome to Preventous Collaborative Health! 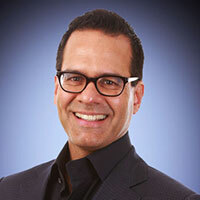 I'm Dr. Rohan Bissoondath, one of the founders of this new, unique Calgary health centre that takes a fresh and enjoyable approach to healthy living. Discover Preventous' proactive approach to health. Health has always been a passion for me. But as a practicing physician in emergency medicine, I found myself dealing with illness, not health. This was very frustrating because I knew that many of the conditions I treated could have been prevented. For me, the true job of a doctor is to work with patients continuously to foster the best health possible. Because being healthy isn’t a short-term proposition. It is a work in progress. Preventous Collaborative Health is a dream come true for me, and a revolution in Calgary health care. As a lifelong Calgarian, I am delighted to bring the highest quality preventive medical care to this city. I hope that the work we do as a team here will inspire other Calgary physicians to focus their efforts on helping people live their healthiest lives. Although our model gives you an entire team of health care professionals who know you and work with you to achieve your goals, it also puts you in control of your health and of your family’s health. When you have a plan for healthy living, you spend less time ill and less time in the emergency room. You can be confident that you will be able to fully celebrate the life you’ve worked so hard to create. That is the real benefit of health, today and tomorrow. We have structured our Calgary health clinic so you can receive a number of services under one roof. We are not a nationwide chain of clinics. We only provide Calgary health care, and personalized service is important to us. Your telephone calls will be answered by a person, not an answering service, and you will always be considered an important part of the Preventous family. Although our focus is on keeping you healthy, we are your physicians and will be there for you during illness and accidents. You can access your physicians 24 hours a day. If you would like to learn more about quality preventive health care for you and your family members or our unique Calgary health centre, please give us a call today. You are welcome to visit us, tour our facility and get all your questions answered at any time. We look forward to meeting you and, if you choose, to knowing you for a healthy lifetime.